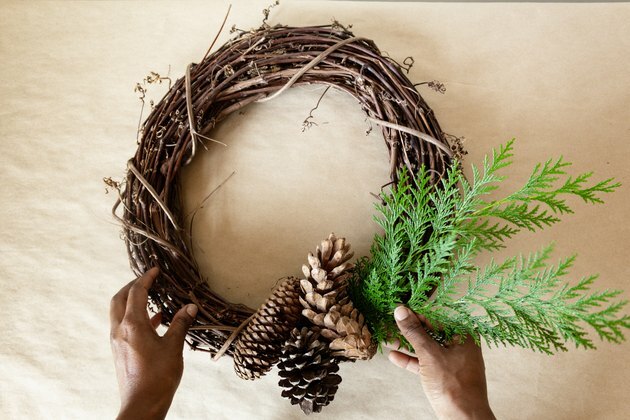 Thanksgiving typically coincides with another momentous occasion in my studio: holiday wreath season! 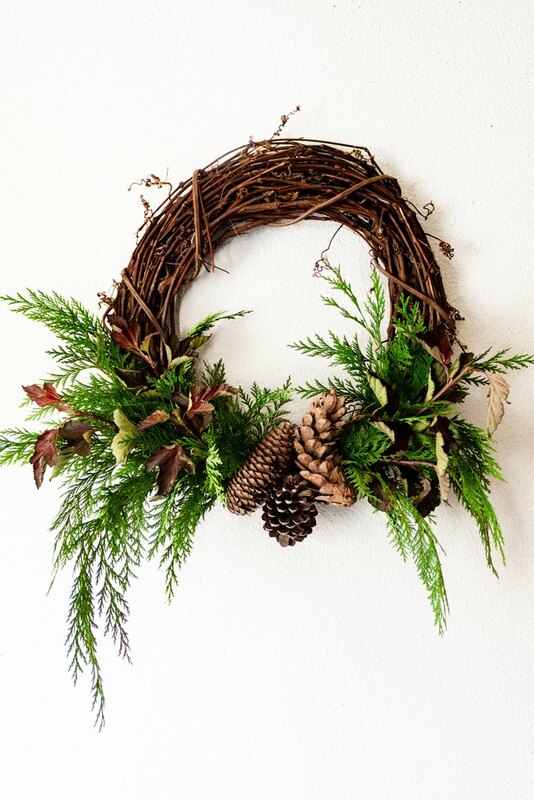 One of my favorites to create during this time of year is this beautifully saturated, easy-to-make wreath. 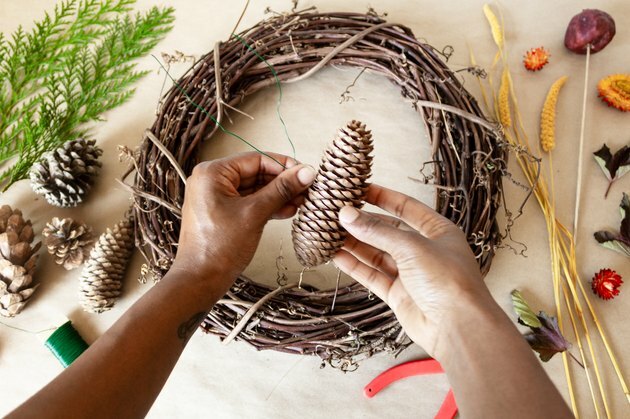 You can buy materials at your local craft store, or for an added challenge, go on a walk and forage materials from your neighborhood that truly reflects the season's shift. It's a warm way to welcome guests into your home before you even open the door. 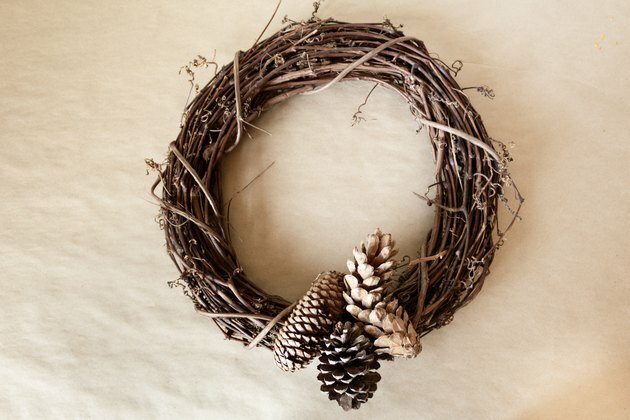 Place the pine cones in your desired spot on the wreath base. I like to plan out how I want the cluster to look before attaching. You can go for an asymmetrical look by placing them to either side, but for this one, I kept it classic and placed them in the center. With your wire cutters, cut a long piece of wire. Find the middle of the piece, and weave it through the center of your pine cone. 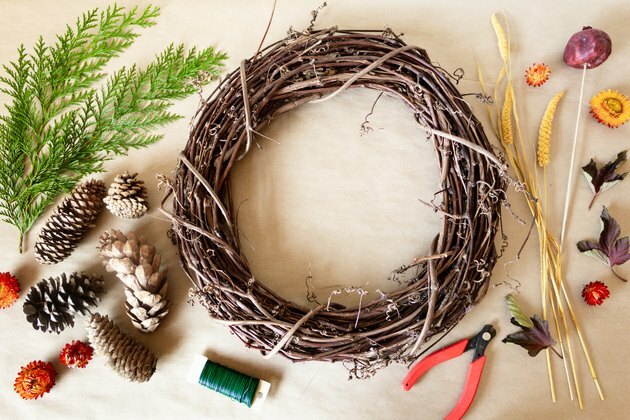 Twist the wire to secure it to the cone, then take the ends and thread it through your wreath base. Once you have it in position, pull the ends taut and twist them again to secure the cone in place. Repeat this step with the other pine cones to create a layered cluster. 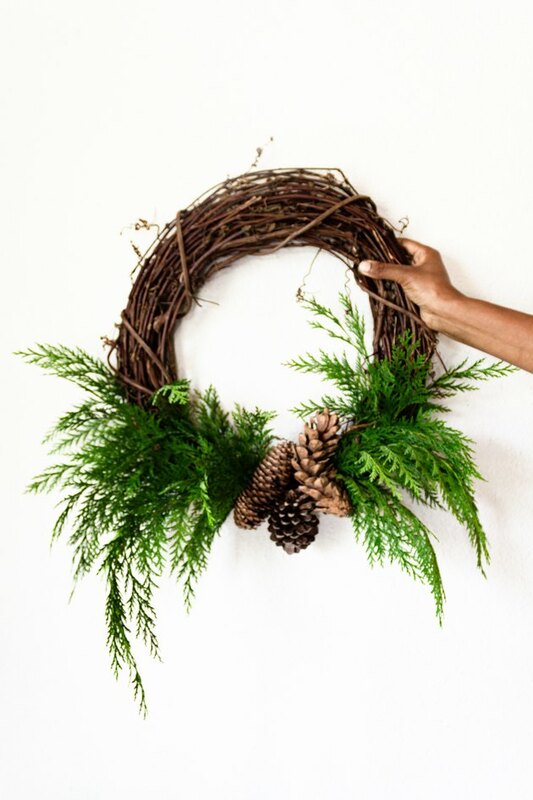 Next, cut your cedar and elm branches into smaller pieces and add them to your wreath base. Starting close to the center, tuck the ends behind your pines cones and work your way out. 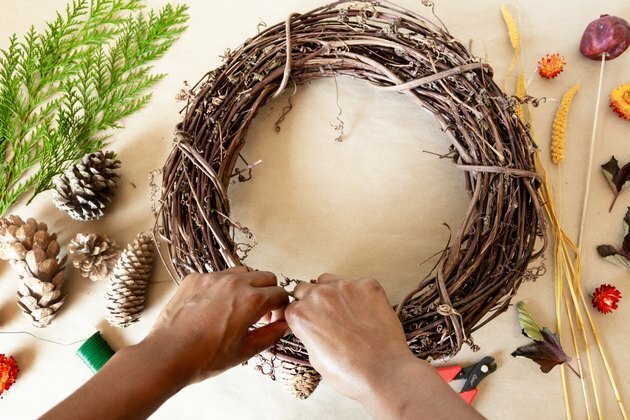 There's no need to wire any of pieces into place, as the vines of your wreath base create a sturdy nest to plug into and build upon. 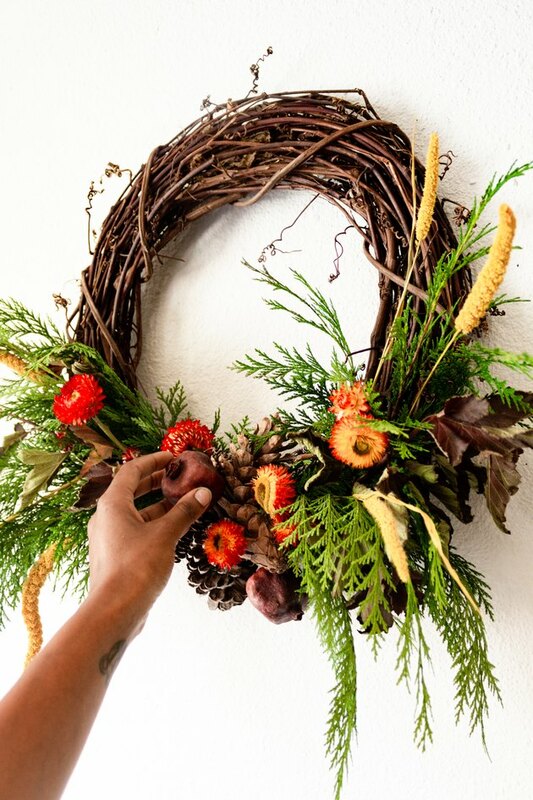 Then add pops of color by adding the strawflower stems to your wreath. I love working with strawflowers because they are cheerful, come in a variety of colors, and most importantly, they keep their color and dry beautifully. Add dimension by keeping some stems long and keeping some stems short. 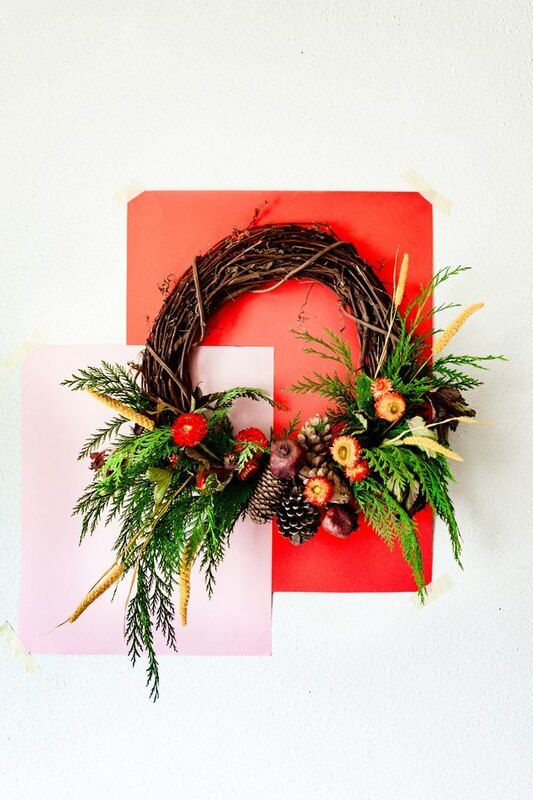 Finally, for additional whimsy, tuck in a couple of stems of dried millet and pomegranates to your wreath. You can attach a coordinated ribbon for hanging it onto you door, or keep it simple and hang it by the wreath itself.